I spent some time in Tucson, Arizona and the amount of Mexican food I consumed was huge but I never did get used to the heat or flavour of the jalapeño pepper, but I figured tastes change over time and sometimes you enjoy something you used dislike. This packet was a little harder to open but I didn&apos;t require scissors so that worked well, I opted to go for the microwave option as I tend to burn small soups like this on the stovetop. I did notice that there wasn&apos;t much of a smell emanating from the microwave so I wasn&apos;t drawn to it quickly. My eight year old was keen to try this, she&apos;d enjoyed the previous soup, but a small mouthful and she ran to spit it out, declaring it too hot. I tentatively tried this but found that there was almost no heat at all, in fact I found the peppered beef had more zing to it than this. I know pulled pork falls apart very easily but even so, I would have expected to see some meat but found just a couple of small pieces. A friend of mine tried a little and also commented on the lack of heat, when one reads jalapeño, you expect a lot of heat. 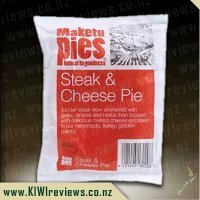 As for flavour, I found that this had no flavour at all, the contents didn&apos;t have a nice texture and even adding a little salt added nothing to the meal. While this was quick and easy to prep, it just lacked the flavour necessary to have me wanting more. Opening up my review box, I was excited to see something for my spicy loving husband in there this time - YAY! Turning the Souper carton over I had a wee squiz at the ingredients and nutritional information - as I knew hubby would not bother to even glance at that! I then popped the carton onto the bench, so he could have it for dinner that night. My plan worked and with an easy dinner on our minds, I suggested he have the soup - as long as he told me how it was. I did not want to try it - only for the fear of the jalapenos! A little google search suggested that there is a few varieties - and all are a different colour - all eye catching and interesting to look at. 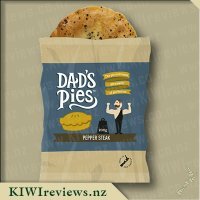 It was very easy to open and hubby was impressed that the packet was really sturdy - meaning it did not collapse as most of the contents poured into the saucepan. Heating it up - I checked out the soup - and to me - it was more like a stew.... lots of beans, and lots of substance, from what I could see. Hubby opted to put it over cous cous - which I thought was a great idea. It ladeled easily from the pot - and smelled really nice! Hubby was sitting across from me, and I could see he was pretty happy with the Soup/Stew - it was nice and thick, and very appealing. 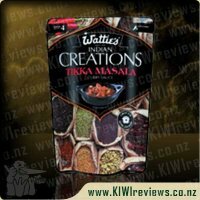 I asked him to describe the flavours - and he said tomatoe-y, some spices, little bit meaty, the beans of course, but he was a bit disappointed in the level of jalapeno heat - and opted to add extra heat to it. His opinion of the Sopuer Jalapeno and Pulled Pork was quite high - he said he would rate it an 8.5 - if they added more jalapenos and pulled pork - he would give it a 9 he said. 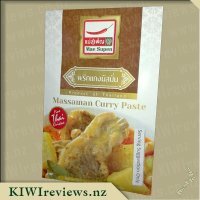 It is a good, quick, easy and filling meal for $3.99 and definitely does not taste like a cheap soup - he is really keen to try the other flavours ( which we will ), as he said they would be perfect for lunches, especially in the cold South Island winters! I as transcribing most of this review from my husband who was the actual taster of this particular soup as I don&apos;t love pork or spicy flavours. I tried the chicken version at the same time and loved that - pulled pork is not for me so I found someone who wanted to try it. We definitely recommend this for those nights you don&apos;t feel like the same thing. So my comments are all about the prep/packaging/ease but the taste is all him. First off for much less than $10 I can provide dinner for two on a weeknight when we are both busy and have tastes we both like - winner! 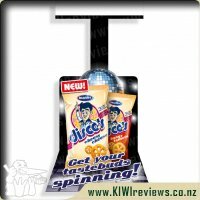 This box was bright and easy to tell apart from the other flavours in the range. The packet was easy to open and the colour of the soup was really rich and it almost looked like a stew coming out of the box. It clearly had lots of bits in it when I poured it into the pot - shame some stuck to the box and were a bit fiddly to get out but I managed in the end - will shake it harder next time before opening. It smelt fragrant and strong but not too hot and spicy to me heating it up. The taste was hearty and spicy and great. The portion size was good but as a bloke, I could have done with a little more - that might have been because it tasted great on a cold night and I do love my soups. It was more filling than it looked and the flavours were good, you could taste the pork and jalapenos but not so hot it dominated. Loved the beans and they definitely added to the soup feeling hearty. I think it would have been better for a lunch or before a second course for me. Would definitely have this again for a snack or light meal. Back to me who was happy to get away with not cooking and the ease I could prepare two flavours of the same thing and keep us both happy. The request to "buy that again" was a hit in our house this week. I think this would be a great "keep it in the cupboard" option to fall back on in the need something quick space. I will start this review with a confession. 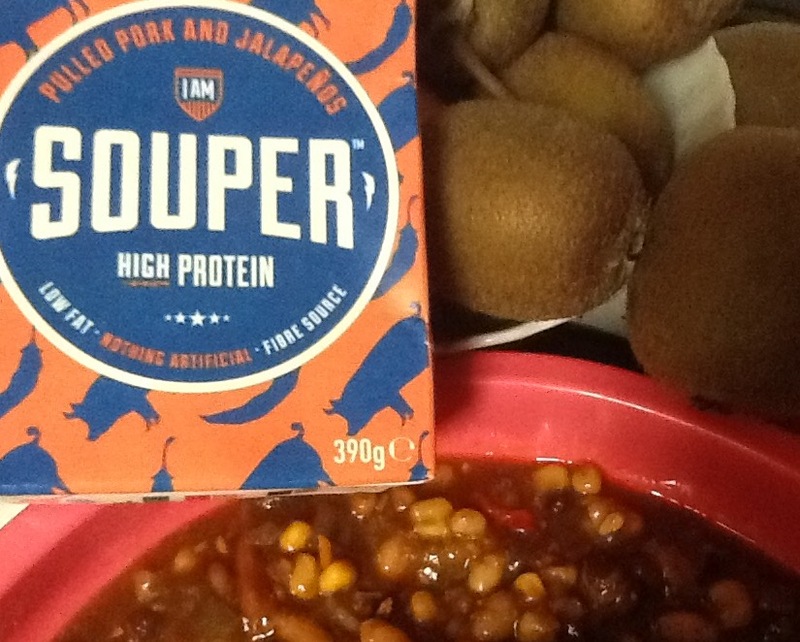 I had the Souper with pulled pork and jalapenos to review for three weeks before I was brave enough to try it. I love pulled pork but I was scared the jalapeno taste would be too strong and overpower all the other ingredients. 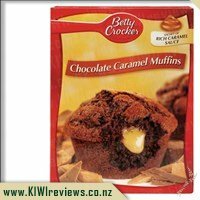 I need not have worried as I could hardly taste them although I did see them. My first impression when I opens the carton was how thick it was. It is full of beans, corn and pork. It is more the consistency of a stew than a soup. I was debating whether to eat it with a fork or a spoon as either would have been fine.I heated it in the microwave and didn&apos;t cover my bowl. That was a big mistake as about 30 seconds into the 2 minutes the soup started to pop and I was left with a microwave to clean out. I can&apos;t tell you how accurate the 2 minute heating was as during this time I had someone come to the door. When I finally sat down to eat the soup about 20 minutes later it was still warm. I loved the taste of the soup. It had just the right level of spice and lots of healthy ingredients. I would happily have it sitting in my pantry for an instant dinner for myself or in my locker at work for those days that I forget my lunch or need so something to warm my soul. I was one hearty serving but could easily serve two people with a bit of toast. On a cold miserable day nothing hit&apos;s the spot like a good hearty soup and Souper: pulled pork and jalapeno hit&apos;s that spot very well. This soup isn&apos;t only reserved for those days though and can be a great meal on any given day. The first thing to take note of is the easy to open tearaway top which makes preparing this very quick requiring nothing but your hands. I tipped the contents of the soup out of the carton and into the saucepan and heated it up until I knew it was time to savor its flavor. Its consistency is more that of a stew than a soup with its chunkiness being made up of Beans, corn and capsicum which I am giving my two thumbs up for. Because of this heavy consistency it can be used to eat straight out of the bowl or laid on toast which is exactly the two ways I tried it. It has that rich hearty pork flavor with a nice tingle from the jalapeno which was nowhere near as spicy as I expected. Personally I would of liked a bit more heat from the jalapeno but still found it very pleasant and if your not a big fan of spice then I would not let the jalapeno put you off as it just puts out its flavor rather than heat. 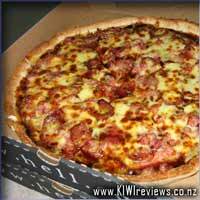 The pork is stringy and could of done with a bit more as it seemed to be missing in action. This is a very delicious, tasty and fulling soup which can be used as a snack or with added extra&apos;s would make for a complete meal. It&apos;s also low in fat, high in protein and is a good source of fibre. 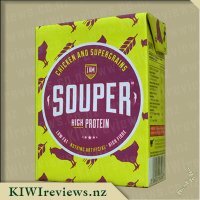 Nothing in the soup is artificial and it is kept in a easy to open carton which makes it a very quick go to choice. 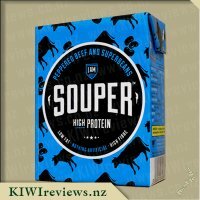 I recommend this to anyone who is a fan of soup/stew and is looking for a quick food fix. I do like me some soup, though the watery ones leave me feeling somewhat cheated because as a child my mother would make soups you could let go of the wooden spoon and it would stay standing! So, when I tried this soup I honestly wasn&apos;t expecting a whole lot of satisfaction. 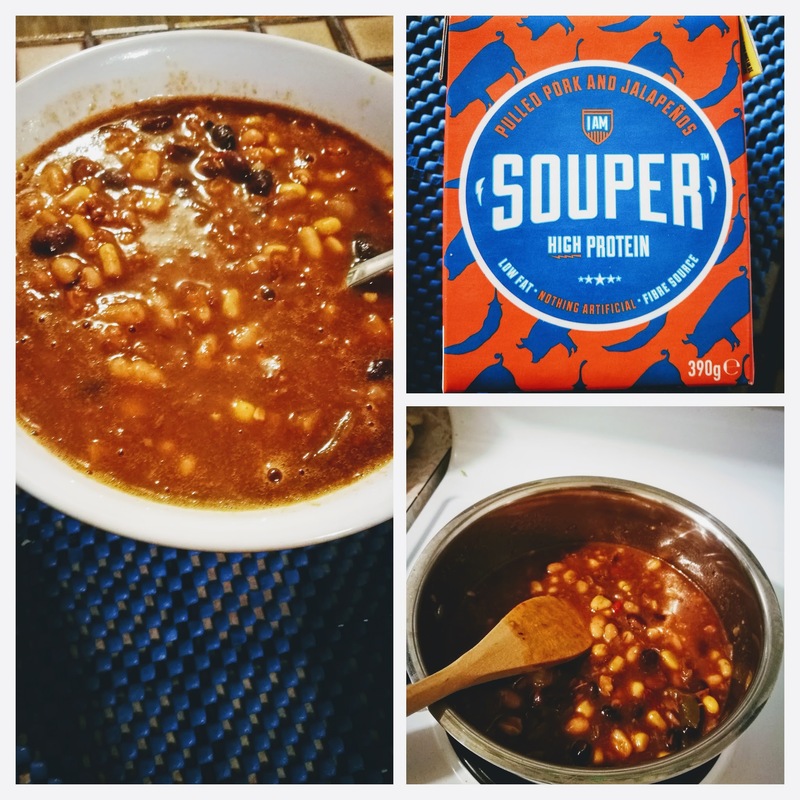 Imagine my surprise when it turned out to be a seriously substantial soup indeed, full of beans, veges and flavour... and a little bit of meat. There was my one disappointment - this soup is so healthy, in large part because it&apos;s majority ingredients are not-meat. None the less, I had to give it a fair shot... so ate a few spoonfuls to see how it was going to taste. In fairness, it was quite tame compared to what I was hoping for, but I do like the jalapeno flavour - regardless of the amount of spiciness it may or may not have - and since that flavour was easily detectable for me, the soup won me over. Still... I do like a bit of piquancy, so after about half a bowl as-is, I had to have a wee play with the taste. In went some chilli sauce and a dash of dark soy sauce, and that really bumped it up a notch for me. I was tempted to add some extra meat, but knowing that I eat way to much of the stuff as it is, I thought I would rebuild a little karma by sticking to eating it as-is. Overall, I was actually very pleased by this, and while it is great on it&apos;s own, a total carnivore could easily boost the meat content by adding some bacon or pulled-pork... or, considering the low level of meat in it, you could probably add cooked chicken which would give you even more protein without really changing the flavour too much at all. 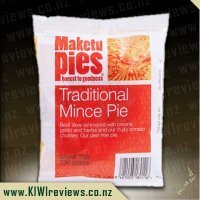 Tasty, filling and with a solid shelf-life - well worth keeping a few in your pantry for those "What am I going to eat that is quick and doesn&apos;t require serious cooking time?" days. It had been one of those days when things happen one after the other with no chance to stop for a meal. That is often the reality in my job; I try to anticipate these times by stocking my freezer and cupboard with proper food that can be speedily prepared by a half-starved weakling (me!) who needed to eat ten minutes ago. But sometimes even that is too much bother. So tonight I was relieved to see that there was a SOUPER packet lurking in my fridge. I had thought I had finished them all, so was delighted to see it - luckily, the bright packet alerted me. Preparation was so quick and easy that the soup was actually into the microwave, heated and ready to go before the bread had finished toasting! I was keeping it very simple - toast, with fruit to follow, and the added assurance that I was eating proper food free of preservatives and other undesirables. I really liked the texture of the beans; they were chewy and just as satisfying as meat. I have to admit to being surprised that the soup was really mild; when I had seen that the flavour was jalapeno, I had expected a bit of heat, but the spice was totally understated. Like the other soup I have tried in this range, the effect was more that of a stew than a soup. Although the main ingredient is water (as listed on the packet), a lot of the liquid is actually absorbed by the beans. There is quite a lot of meat in the product (5.5%) but I did not see it, so I presume that it was finely shredded into very small pieces. However, I could taste the meat along with the other flavours - notably tomato and spices. In fact, the result reminded me of a gourmet meal of baked beans. The best before date was a good ten months away so this would be a useful emergency meal to have on hand. Not just for emergencies of course; it would also be a good staple to have available. The price is very reasonable; I had one packet with two slices of toast, and felt I had eaten a hearty meal. 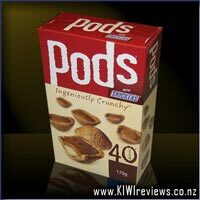 The packaging is robust, enough to withstand being dropped on the concrete (which I actually did so I know it is true! ), and colour coded by flavour so you know what you are getting. Altogether a highly successful product that does what it sets out to do. I struggled through work yesterday because I have an important audit next week to prepare for, but I woke up this morning after only managing to get a hour of irregular sleep, surrounded by two toilet rolls worth of tissue paper. I had been trying to avoid it, but alas, I was doomed; I had caught the man flu. Calling in sick, I decide I need to stay in bed to maximise the speed at which I can recover. But as a single male, I had neither a significant other to look after me, or a large budget, so the food at home was rather limited. Luckily, I still had one review sample left to try from my current batch. The Souper Pulled Pork and Jalapenos. With a best before date nearly a year from now, it&apos;s definitely a product that you could keep for such a situation. A chunky soup is so much nicer than those powdered packet things with the dried veges. With so little sleep and suffering from a sickness, I did have a little trouble tearing the top off of the packet. I eventually got there once I made the initial break with my teeth, but at least I know the packaging is secure. Heating instructions are simple; place in microwaveable bowl, and heat until hot. Simple. I enjoy spicy foods, so people assume that I love jalapenos. In a way, they are right, as I do enjoy the heat, but at the same time, I don&apos;t like pickles because of the overpowering sweet/sourness. Jalapenos will often come pickled or in a brine, so I wasn&apos;t too sure how I&apos;d feel about this product. 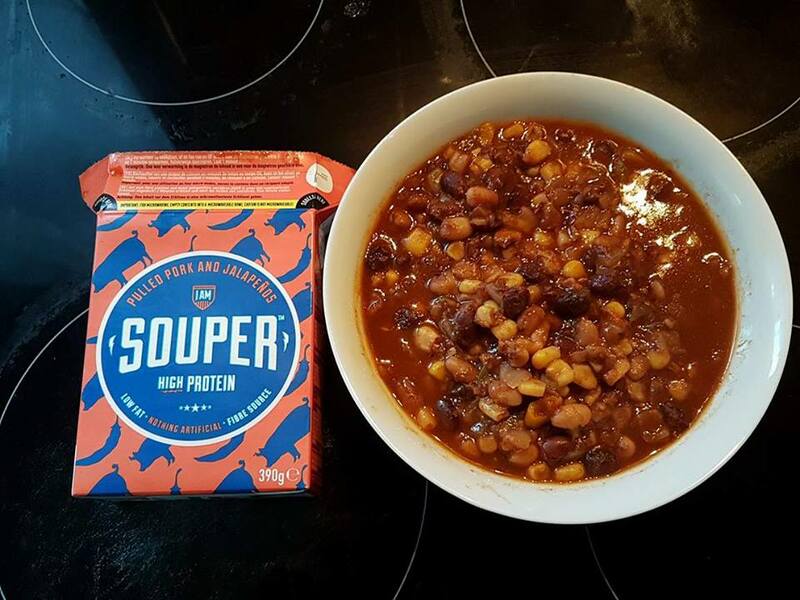 Interestingly, taking the time to look at the ingredients, this soup is 5.5% meat (pulled pork in this case), the highest proportion of meat in this brand of soup out of all the flavours I&apos;ve tried. Looking at the meal before I start consuming it, it looks very much like a chunky beef chili (but with pork instead obviously). And you can immediately see the soup is predominantly sweetcorn and beans. There is definitely meat visible, but with the dark sauce and small size of the chunks, it blends in really well with the beans. Bell peppers and jalapenos can ruin a meal for those with more european heat sensibilities, so it was interesting to see the bell peppers and jalapenos were few, and cut into reasonably long strips. This would make for easy removal if it was a concern. I&apos;m not a fan of capsicum either, so I bit the bullet and made sure that my first spoonfuls, included bell peppers to be rid of them early. Surprisingly, there was no strong flavour from it. No intense overwhelming flavour. Curiously, I grabbed another spoonful with jalapenos AND bell peppers and the flavour of it was present, but not at all overpowering or even what I&apos;d consider a primary flavour. Overall, the soup is very chunky. The sweetcorn and beans maintain their shape during the cooking process. As with the peppered beef variety, I would have loved to have had more meat in it. 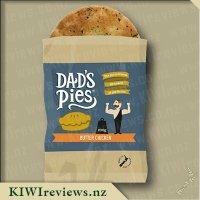 I get a little hit of pleasure when I bite and feel the texture of the pork between my teeth, but the other flavours overpower it completely. Beyond seeing it, and feeling it occasionally, it is difficult to tell the soup actually has meat in it. The flavour of the soup is very consistent; each spoonful tastes the same next. No huge bursts of flavour coming out of left field. The jalapenos and peppers do leave a slight warmth on the tongue that is noticeable once you&apos;ve finished eating the meal, and the meat adds some nice depth and fullness to the flavour, but I would struggle to really be able to separate any of the speceific flavours otherwise. It is soup flavoured. Easy to prepare, the peppers don&apos;t make it hot, it has a nice chunkiness to it, and has a long shelf life. Ideal for combating the man flu. 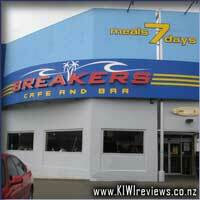 The Breakers style is traditional wholesome home cooked food served quickly in a casual, comfortable and chilled out atmosphere where the customer drives the dining experience. The menu has a selection of great tasting meals including New Zealand&apos;s most awarded beer, Limburg. The fast casual dining concept is currently the fastest growing hospitality trend overseas, and Breakers have been doing it for over seven years. Our seaside motif, music and surfboard furniture design helps create the ambience of being on holiday, relaxing and having a good time!